Do I need stump removal services? Why? Is there an annoying stump in your garden? 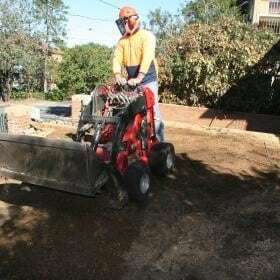 Getting it out of the ground or trying to remove it might not seem achievable but using a stump grinder can make the process much easier and simpler. Safety. 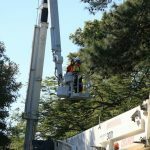 If the stump is an obstacle that disturbs you from using a particular area such as a driveway, walkway or it is just in the middle of your yard or garden. In such situations removing the stump will be the best thing to do. Also, there could be old stumps that have been in your garden for years rotting away causing mould and fungi to form which can contaminate the remaining parts of your garden and in the process can harm or even destroy the life of your plants. 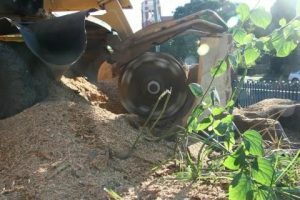 When deciding to remove stumps from your garden or yard, you basically have two choices which are to remove them yourself or you can hire a company to come in and remove it for you. 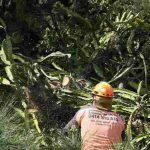 In most cases, if you are not a professional, we strongly recommend you hire the services of a company especially if you have huge stumps or have many stumps that need to be grinded. It can be unsafe to try to do it yourself. If you take up the option of hiring a company, you don’t have to choose the first option you come across as there are several companies offering different rates. So take your time and get some information before making a decision. Saving money but compromising on results is not ideal, so look at reviews and trustworthiness of each business. 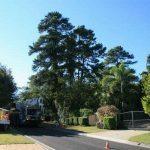 If you have any questions regarding stump removal, please don’t hesitate to contact us on 1300-043-740!